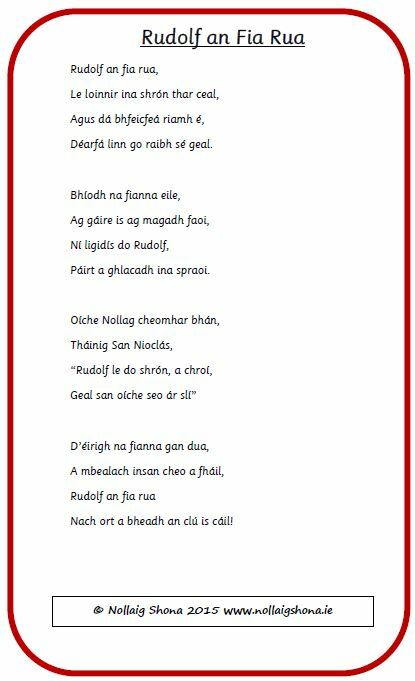 Focail le haghaidh an t-amhrán “Rudolph an Fia Rua” ar bhileog amháin. 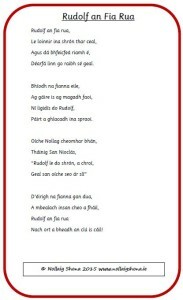 This popular song at Christmas is believed to have a hidden meaning dating back to Penal times. This resource details the reputed meaning behind each of the gifts mentioned on each day in the song. All the vocabulary needed to write about Christmas Food, all one one A4 sheet. 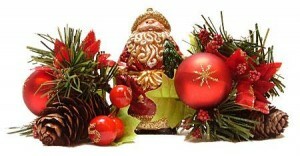 This is a list of the Feast Days over the Christmas season and their meaning. All the vocabulary needed to write about the Nativity on one A4 sheet.